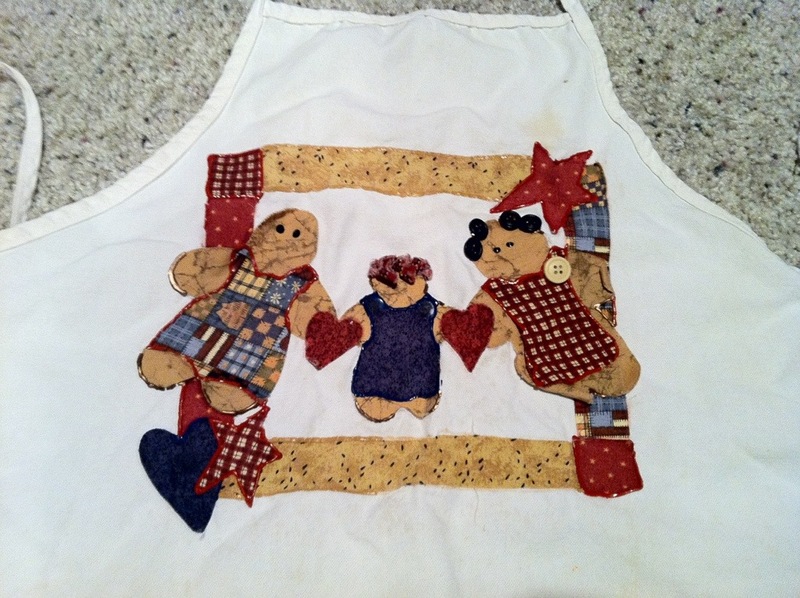 This apron was a craft project from long ago. I remember purchasing the kit with all the supplies and I remember having a great time making it. I had always used stitches to embellish the borders of fabric shapes, so using paint was fun and something different. I loved the cute picture and all the buttons that added character. My life was not so full back in those days and I found time for craft projects. A part of me misses those days. The best part about the apron was all the things I cooked and baked while wearing it. I found the apron while unpacking boxes a few weeks ago. It looked old and tired. A few buttons were missing and the fabric was lifting in some places. 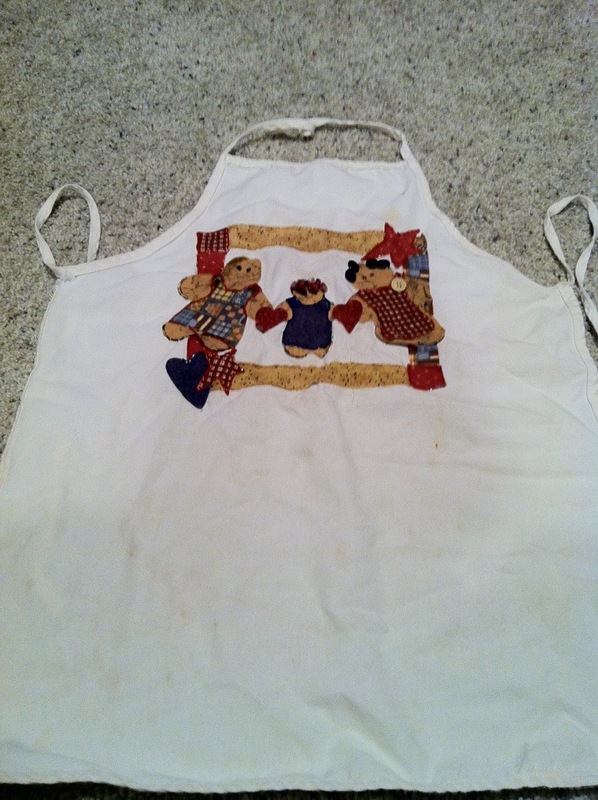 I considered mending it, but the apron itself was stained and I felt it was time to let it go. So I’m sharing it here to preserve the memory. It always made me smile when I saw it and those are the types of “things” that are worth having in a house. I think I will wear it one more time to bake for Thanksgiving. This entry was posted in About Us, Kristy's Kitchen. Bookmark the permalink.